A bird, trying to be something different. Original drawing available here. Ink on hot press watercolour paper, 8 x 10 inches. Ink and waterclour on paper, 8 x 10 inches. Original drawing available here. I like to look at things up close. Original drawing is SOLD available here. Ink on hot press paper, 8 x 10 inches. This one is a bit of a self-portrait. Number 6 in a series of scribbled crows. "A crow, relaxing after finally completing her master’s degree in comparative literature." Original drawing is SOLD available here. Ink on hot press paper, 5 x 7 inches. Crows are just like us. 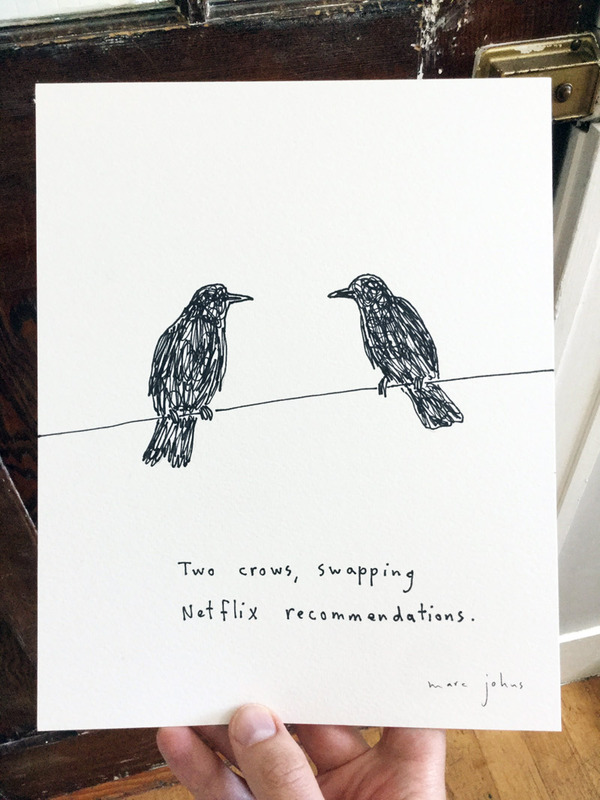 My third in a series of scribbled crows with captions. Check out the first and second one. My second in a series of scribbled crows with captions. I'm sure birds worry about all kinds of things. 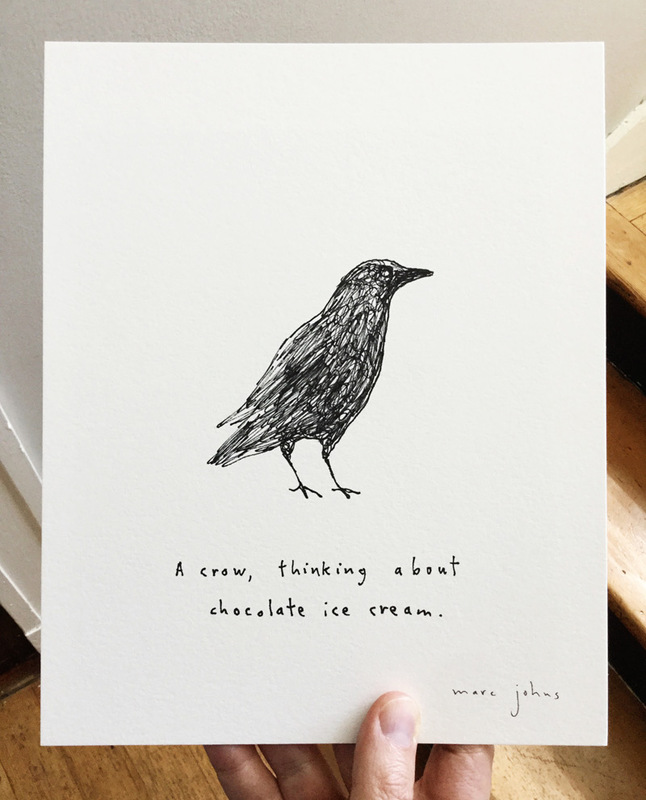 I've started a little series of these scribbled crows with captions. Stay tuned for some more. My wife was going through some junk on my desk, and came across little sketches of these crows with accompanying words, and said "You should make these into drawings. I like them. They're very 'you'". So I did.